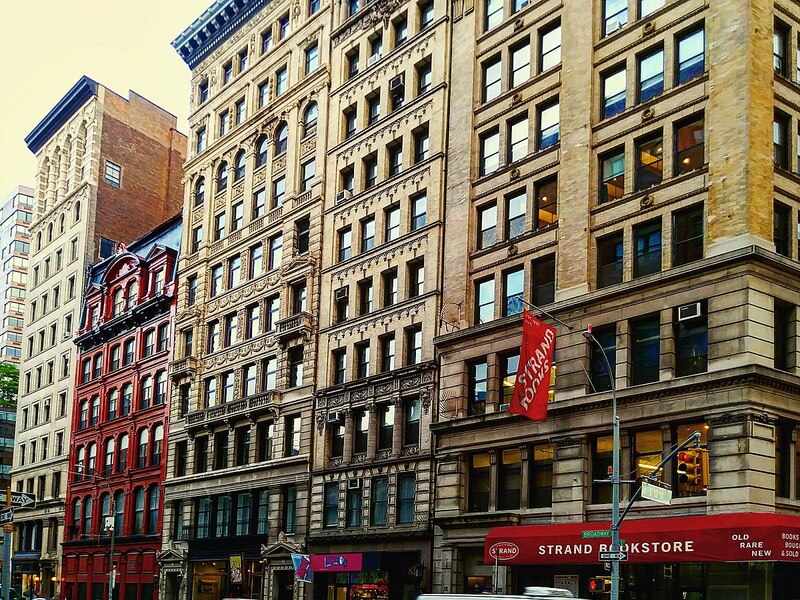 The Strand Bookstore in New York City is asking fans of the store to attend a public hearing tomorrow morning to help the store "make a case against landmark status" for the building housing the flagship store at 826-828 Broadway. The bookstore fears that with landmark status, "for every repair and every upgrade, the Strand would have to go through the slow bureaucracy of the Landmarks Preservation Commission, which adds to the expenses to keep the Strand alive.... The Strand currently runs on thin margins as a bookseller and retailer in New York City, fighting to survive in the era of Amazon. We have over 230 employees--most whom are unionized--and unlike large online retailers (like Amazon), have never asked or received tax breaks or other economic assistance to insure business profitability." Strand communications director Leigh Altshuler told Jeremiah's Vanishing New York that many "big, new tech hubs" are being built in the area, leading to real estate speculation and demolition. "In a trade-off, the Strand and a few other buildings along Broadway are now being calendared for landmarking." Store and building owner Nancy Bass was not part of the decision-making process and didn't receive a Landmarks Preservation Commission draft report until last week. Altshuler noted that the building is already "overbuilt," meaning it has no air rights to sell and can't be expanded. "There is no danger of it being torn down," she said. "Nancy has no intent to sell the building. She just wants to keep running the store without added cost or pressure." Founded in 1927 by Benjamin Bass, Nancy Bass's grandfather, the Strand moved to its current location in 1956 and bought the building in 1996. The store noted that last year, "manholes exploded under the building. This resulted in ongoing repairs. The Strand has already done a quality job restoring the front windows and columns to its previous aesthetic. But the Strand needs flexibility to do future upgrades and change with the needs of the community: change the outside lighting, signage and awning; upgrade the awning; add a coffee shop with a door on the side of the building; change the configuration of the store; [and make] repairs from a fire or flood." The public hearing will be held tomorrow, December 4, at 9:30 a.m. at 1 Centre St., 9th floor. Nancy Bass will speak, joined by authors Gary Shteyngart and Hank O'Neal, and longtime Strand employees. Customers are encouraged to attend with a "Strand tote in hand!"